So, what exactly is entrepreneurship? That’s a question I get a lot and it’s a tough one because there are almost as many definitions of it as there are entrepreneurs. I actually keep this definition in the Notes app on my iPhone with a few other inspiring quotations. It perfectly captures the nature of entrepreneurship and highlights some key qualities that successful entrepreneurs share. Entrepreneurs are confident in themselves and their abilities. They recognize that they don’t know everything or control all the available resources. Instead, they have a keen ability to understand what they need. Then, they go get it. They educate themselves or partner with others who have a needed skill set or experience. The ability to understand and see opportunity is critical for success. Entrepreneurs like to challenge themselves and search for opportunities. Of course, entrepreneurs are less risk averse than many, but they don’t take foolish risks. Rather, they calculate the risks of a situation and will take the risk if they think they can beat the odds. I’ve taken many risks as an entrepreneur but only when I saw an opportunity and thought I had a good chance for success. I’ve aimed high, but have been smart about where I’m aiming. These qualities are evident in entrepreneurs that I admire most. 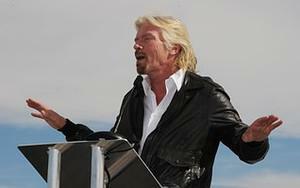 Sir Richard Branson is at the top of that list. He is one of my business mentors and a close friend. He has identified opportunities across industries better than almost anyone else. He also is willing to take calculated risks with a clear plan in mind. In addition to Branson, I’m inspired by and admire Jeff Bezos of Amazon and Tony Hsieh of Zappos. Of course, Steve Jobs was an incredible entrepreneur as well. They all meet Prof. Stevenson’s definition of entrepreneurship and share the qualities I mentioned. They also have something else in common: they’re serial entrepreneurs who have reinvented themselves multiple times. That’s a theme I’ll pick up in the next post. In the meantime, feel free to share your definition of entrepreneurship.